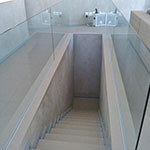 My Aluminium Guy is a well-known Aluminium supplier and installer of Aluminium and glass in Johannesburg. 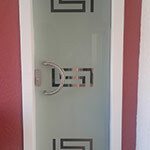 My Aluminium Guy (Pty) Ltd is run by husband and wife team Carl and Mandy Van Zyl, with over 30 years combined experience in the glass and aluminium industry. Carl served his apprentice under his father and has been in the Aluminium and Glass Industry his whole life. He has extensive knowledge in the manufacturing process but specialized as a sub-contractor in installations. He managed sites, both small and big on behalf of KAL Aluminium and AGI Industries, who were the industry leaders in Africa for 17 years. Carl then joined Radiant Glass Concepts where he gained valuable experience and knowledge in the frameless sector. Mandy has experience in office management, having worked as an office manager for 19 years at various corporate companies. She joined the Aluminium and Glass Industry in 2005. In February of 2012, My Aluminium Guy (Pty) Ltd was formed and due to our vast knowledge of Aluminium systems, profiles and applications, we believe that we are able to offer our customers turnkey projects that live up to their exacting standards and specifications. 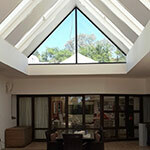 We are suppliers and installers of Aluminium and Glass products and only use AAAMSA accredited suppliers. Our products and services are all fully guaranteed and AAAMSA and SAGGA approved glazing certificates are supplied on all our completed projects. We offer a comprehensive range of Aluminium and Glass Products, which means a one stop company that takes care of all Aluminium and Glass requirements under one umbrella. If you would like to find out more about our services please feel free to contact us!